How do people find these jobs? Very interesting to me, I hope to look into these vocations and shed a little light on them. 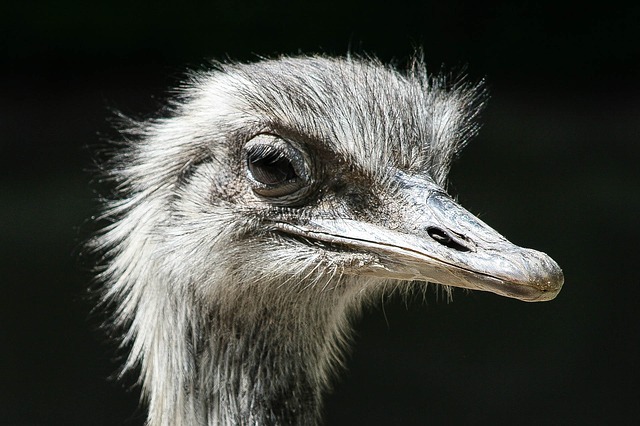 Imagine leaving your dull cubicle based job to be an ostrich wrangler! Fresh air, wide open spaces, no corporate politics. Yet you would have to deal with a 250 pound flightless bird with a brain smaller than its eyeball, who can kick you so hard it could break your leg. Every job has it’s pros and cons but when I was in school studying accounting I don’t recall seeing courses on ostrich wrangling. That’s the interesting thing, some of these unusual jobs were created by someone who probably saw a need and the corresponding $$ opportunity and TOOK THE PLUNGE! I’m assuming that some had few alternatives but still milking the venom out of a snake vs. sitting home surfing the web with your tablet all day? Somebody is making a decision to get up and do these jobs. Then the question of “where do you get customers”? comes into play. Does Purina have a “dog food taster’ job listed on their Employment Opportunities section of their web page? Not sure… Maybe companies like that don’t even know they need a “paper towel tester” or whatever until some enterprising soul approaches them and offers their services. These are the types of things we’ll pursue here in subsequent posts.